7th Course and Open Seminar on Compositional Data Analysis at UdG: officially acredited by the CoDa-Asociation!!! 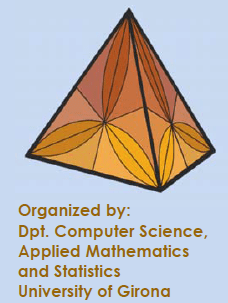 As every first week of July since 2012, a 5-day course on compositional data analysis will be imparted at the University of Girona (UdG) by members of the Research Group on Compositional Data Analysis. This CoDaCourse provides an introduction to theoretical and practical aspects of the statistical analysis of compositional data, as well as an informal discussion forum on more advances topics. In the theoretical sessions, the current state of the art in this field will be presented. In the practical sessions, CoDa techniques are applied using the available software CoDaPack and some R packages. An open discussion session is also planned. We encourage you to bring your own data!!! How to apply: visit the www.compositionaldata.com and fill in the form at the CoDaCourses menu. Special Fees for Students and for CoDa-Association members!